Between the 1840s and roughly 1960, the Bay area made colossal amounts of dry land through “reclamation,” a euphemism for filling in marshland with whatever was handy. Oakland was no exception. 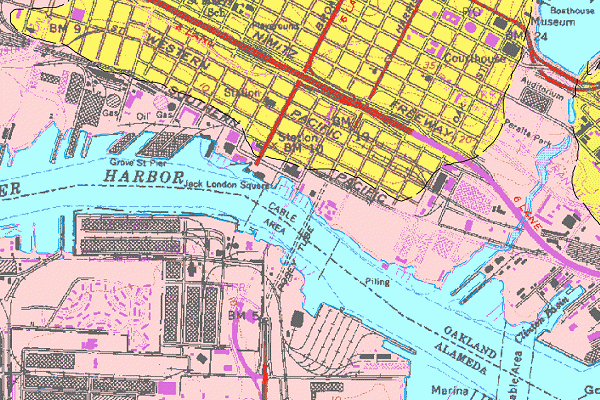 Here’s a portion of the geologic map centered on Jack London Square, Oakland’s original harbor. Reclaimed land, or artificial fill, is shown in pink. We were lucky in Oakland that the waterfront was largely developed by the railroads. They had the money and foresight to do the job right, by mid-1800s standards, and the fill is pretty good. 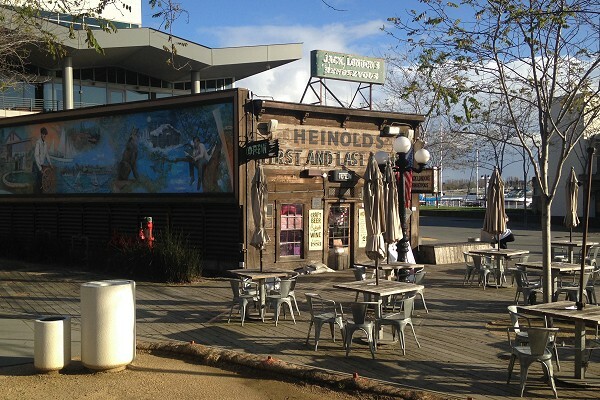 An exception is the building that houses Heinold’s First and Last Chance Saloon. The structure was built in 1880 of ship’s timbers, and in accordance with good practice it was placed on piles, driven into the fill and the mud beneath. But it has settled, especially after the 1906 earthquake, and the land has been built up around it. 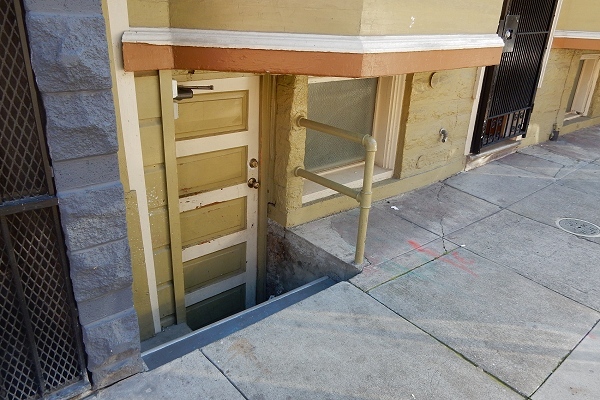 You won’t notice from the outside until you approach the door, which sits below the surrounding ground. Go inside (as every Oaklander should at least once), and you’re in a funhouse of ancient furniture and creaky walls covered with old papers, all set off by a crazily tilted floor. Fortunately it’s merely a bar and not some place people have to live in. 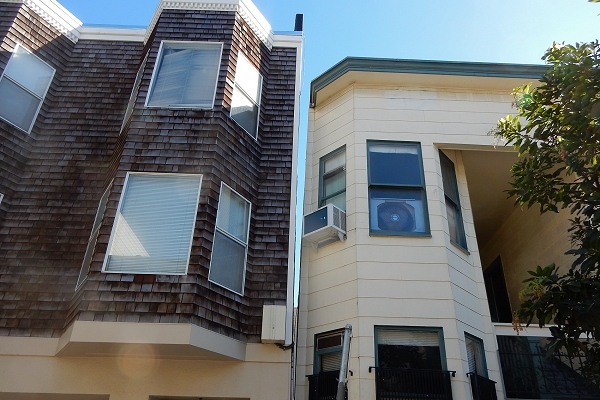 For real landfill folly, you’ll want to visit San Francisco. The land south of Market Street was originally a mixed bag — the bedrock of Rincon Hill and a ridge of sand dunes to its west offered firm ground, and Sullivan Marsh to their south surrounded Mission Bay with poor ground. 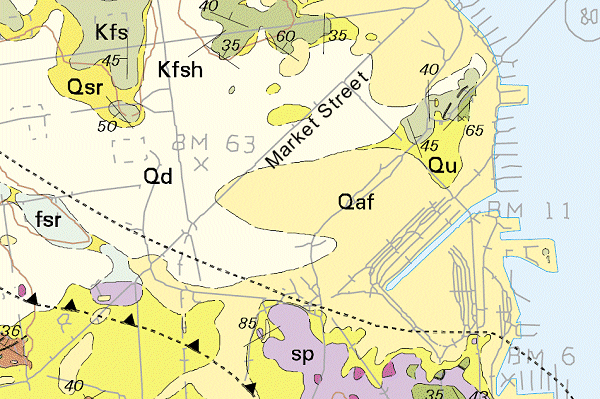 On the geologic map, the old marsh is mapped as “Qaf,” or artificial fill. It extends to the Civic Center. 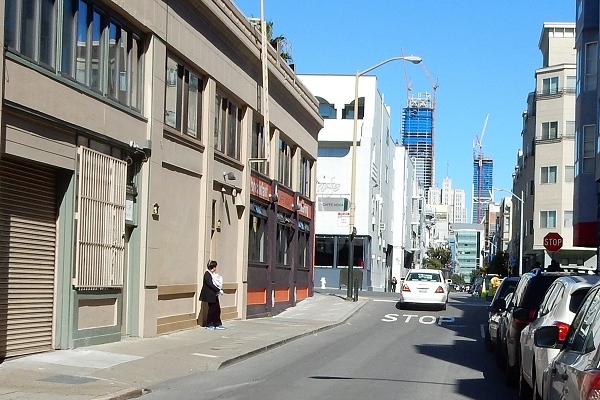 The area south of Market began to be developed around 1870, and the marsh was filled rapidly and willy-nilly. Within a few decades the good ground was occupied by grand hotels, office buildings and luxury residences while the bad ground — the made land — was full of working-class boarding houses, small shops and warehouses. The marsh contained several meters of peat on the surface and saturated sand and mud beneath. Loading this land with landfill rubbish, then placing buildings on it, left it highly vulnerable to settling and, during earthquakes, liquefaction — complete loss of strength. When the 1906 quake struck, the buildings on firm ground did well while the former marsh area was largely ruined. But everything south of Market, rich and poor, burned down within a day. All of it was rebuilt, just like before, as rapidly as possible. And for the next century, the made land has kept on subsiding. 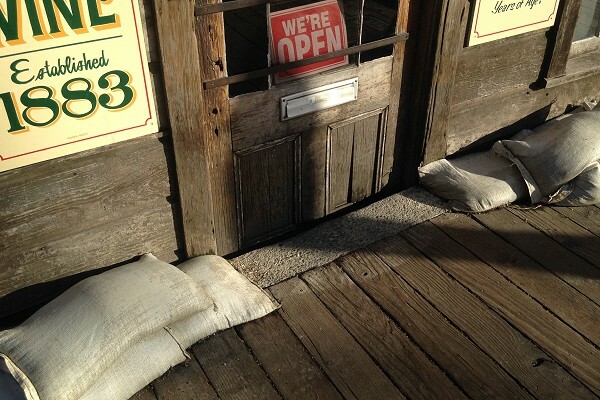 Main streets, like 7th Street, were regularly built up to maintain their grade. Side streets like Natoma were not. Many homes sank at the same time the street were built up. This one is typical. At the same time, many buildings suffered differential or uneven settling, like Heinold’s did. Residents, then and now, just put up with it. Today redevelopment is replacing these tired survivers. The new blocks have a hip and trendy look now, if you don’t happen to notice the occasional straggler. Soon enough, the past will vanish from the South of Market. But just wait another century, or less if they have a major quake before then, and some of these new buildings will slowly turn into antique funhouses like Heinold’s. Oakland has been pretty good about avoiding our own versions of Sullivan Marsh, but we do have strips of fill to watch out for. This entry was posted on 6 March 2017 at 8:03 am and is filed under Earthquakes. You can follow any responses to this entry through the RSS 2.0 feed. You can skip to the end and leave a response. Pinging is currently not allowed.